The real estate closing process can be confusing and overwhelming, especially if you’ve never been through it before. I want all of my customers to fill confident with their purchase, and that means understanding a little bit about the closing process. For starters, why is it called closing? When you make an offer on a home and that offer is accepted, your real estate agent will open a “middleman” type of account through an escrow system. 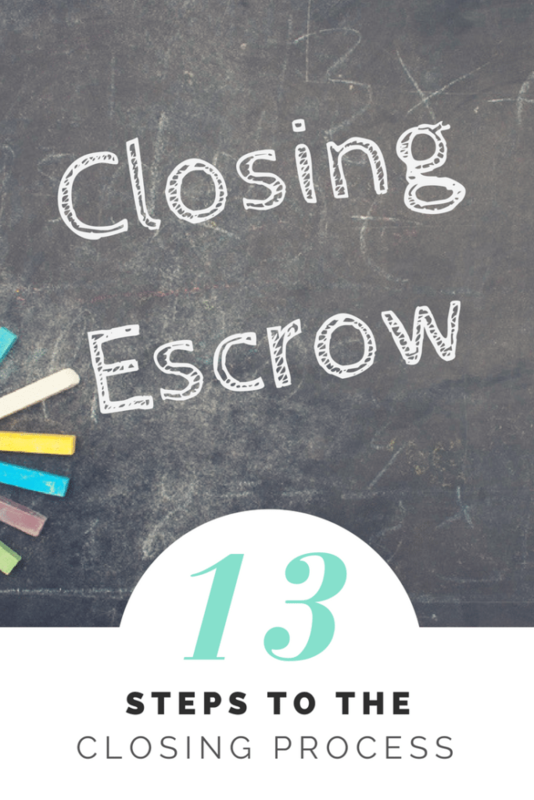 The escrow handles all of the funds and procedures of the transaction until it is completed. Once everything is satisfied, final documents are signed, money is dispersed, and keys are handed over, the account is enclosed. Hence, the entire process is called “the closing process”. Here’s how it works. #1. A fully executed contract. At this point, a contract to purchase a property has been signed by all parties with an earnest money check deposited either with the escrow company, title company or real estate brokerage. #2. The contract is receipted. According to the contract, the contract and the earnest money gets deposited and copies of proof are sent to all parties. #3. Title order is opened. A file number is assigned and sent to the title office following a title plant, which is an order received with legal checking, tax certificate ordered, and a file is ready for abstract department. #4. Abstract department. This means that all copies of all the documents affecting the title are covered under the seller’s name and double checked for accuracy. #5. Title Examination. Title insurance policies are opened, and then it moves on to title examination where an examiner reviews documents and issues a title report. #7. Closing of the title office. Title commitment issued and sent to the lender with tax certificate and wiring instructions for all funds. Title commitment and copies of all documents affecting the title are sent to the buyer. Title commitments are sent to the seller and real estate agents involved in the contract. Pay off and survey is ordered if necessary, the homeowner association is contacted for resale certificates if applicable. #8. Inspection reports. Inspections and repairs need to be completed with the buyer loan approval and agents and all parties involved set a time and date for closing. #9. Lender issues closing instructions. The lender’s attorney is preparing documents and sending them to the title company for final closing. Financial situations are getting finalized. #10. Title company prepares closing statements and sends to lender for approval. Once approved, the statement is sent to all parties for review. #11. Final signing. The buyer and seller will sign all documents separately and monies are collected from the buyer and seller if necessary. #12. Funding. The title company will send documents to the lender for final review and funding per closing instructions. The lender will contact the title company with the funding number an authorization in order to disperse funds. Legal documents are sent for recording with the appropriate County clerks and all parties are notified. #13. The title company policy department. This is where the title company will submit policy packages of the documents including owners and lenders title policies, which are prepared and finalized. Once everything is completed, closing has taken place, and it is only at this time that a buyer’s real estate agent can hand over the keys to their new home. Everything is done, escrow was opened and now is closed. One of the biggest things is to double check accuracy on all paperwork throughout the process. Ask questions, be confident, and make sure you understand everything you are signing. Have more questions? Feel free to ask me here at any time. How Hard is it to Sell a House You Don’t Live in?